Team building is usually looked at as a way to benefit your team and over the years, businesses have moved away from their working environment to get the most out of the team. Team building is often done by businesses as the purpose of being a nice break away from their work. they can last for a few hours or a few days depending on their aims of the break. 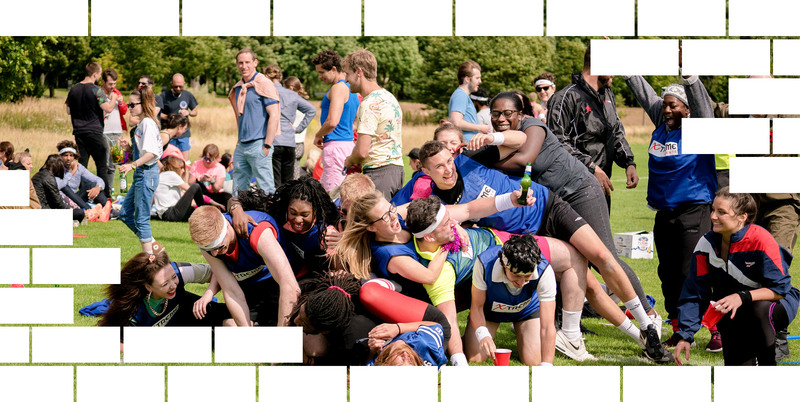 And of course organising your own team building event will have a specific purpose and objectives behind it but it also has some amazing benefits for your team too. You will find that after a team building activity your employees motivation will increase in a number of ways. Their confidence will have grown from the activity and it will therefore make them feel better about themselves which will motivate them in their own and their team’s ability to work. The main benefit of team building activities is how much communication between employees is improved. If you are taking part in a fun activity you will find that it enables employees to get to know each other more which will boost their confidence to speak in work. Sometimes within work positivity can be lost which is why after a team building event you will find that everybody’s spirits are high and their positivity has been salvaged and put back into their work. Team building activities often help teach employees how to work together in certain situations and learn more about what skills each person has. By doing this it will improve the productivity within the working environment and help meet deadlines with work that is done to a brilliant standard. A successful business is based on people with creativity and innovation which is why you employ different people with different expertise. And with the help of some team building activities you will find that employees will use their imagination to solve things which will then reflect in their work.